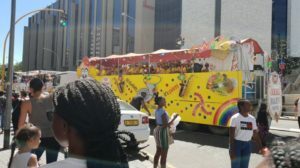 The annual Windhoek Carnival, also known as WIKA, started at exactly 11:11 when drum majorettes led floats of all colours and sizes in a street procession down Sam Nujoma Avenue on Saturday. 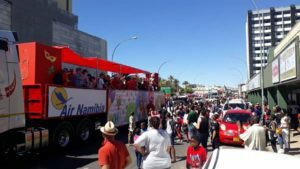 Since its inception almost 70 years ago the festivities are one of the main items on the Namibian capital’s social calendar. 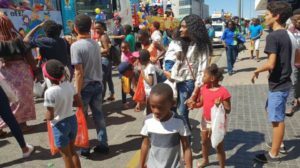 The carnival gives all Namibians an opportunity to let their hair down and forget about the more serious issues such as the pressing drought and a struggling economy. 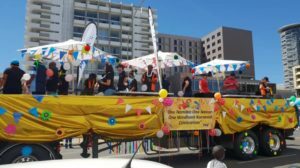 The theme of the Carnival each year reflects the current situation in Namibia which is then caricatured in the way floats are decorated. 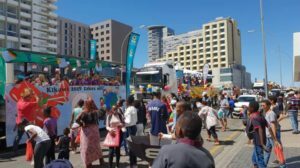 The theme also runs through all the items on the entertainment list that forms part of all the special events on the agenda. 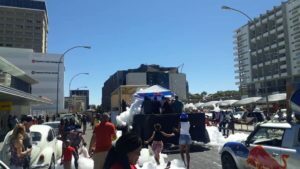 In true German style hundreds of litres of beer, oompah music and excellent entertainment are on the agenda when the annual Windhoek Carnival season starts. 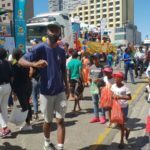 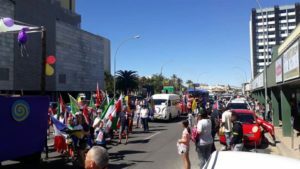 In true carnival tradition, BIWAK – the prelude to WIKA, as the Windhoek Carnival is affectionately known happened on 30 March. 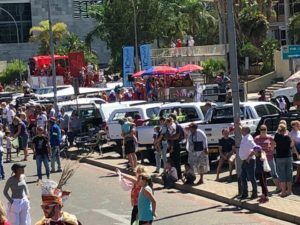 The Umzug or street procession that happened today is the next highlight on the itinerary which is followed by the Children’s Karnival, the Masked Ball, Ladies Night, International Evening and the Kehraus after party to name but a few.